I have another great giveaway for you! One winner will receive a $50 Shabby Apple Gift Card!! And in the mean time you can use code: tightwadinutah10off to get 10% off at checkout! Shabby Apple sells dresses, blouses, skirts, swimwear, Maternity, jewelry & accessories. 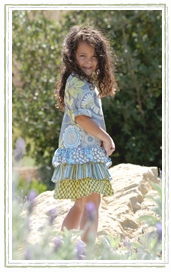 They also have super cute little girls dresses! a Rafflecopter giveaway Giveaway will end July 20th at 11:59 pm EST. Sponsored by Shabby Apple. No other compensation was received. All opinions are my own. This promotion is in no way sponsored, endorsed or administered by, or associated with, Facebook. We hereby release Facebook of any liability. Winner(s) will be contacted by email within 48 hours after the giveaway ends. Winner must have a USA address. I am in love with the Puca Pucara dress in the Inca Trail collection and the Alice dress in the Madhatter collection. I couldn't possibly choose just one...but I do need a new dress, would they look as cute on me as they do the models? Oh, I love their dresses! LOVE the Alice dress. Thank you! I like the Marco Polo dress. The admiral dress is so cute! The partner has always been my favorite! Pretty dress are hard to find. U can find them here. I adore the G. Cooper. I love "one for my baby"! the bernini dress is my fave!! I love the IZZIE pencil skirt! I think the Tulleries dress is pretty cute. Really like this giveaway! I love the Moon River dress. Hurray for women's sizes! I'm in love with Jitterbug. i love the preppy lady in honeymoon! to die for!!! My FAVE dress is Overboard...so cute!!! I like the Serena bathing suit or the Summer Wind dress, they are all gorgeous though! Its tough to decide, I love all the soured collection. I guess I will start with Alice. I love the Twin Palms day dress! i like the Lighthouse COllection! Dark Secrets of Wonderland bracelet. I love the Aloha dress! My favorite item is the ÉCLAT #28 dress. The Red Fox dress is my favorite. 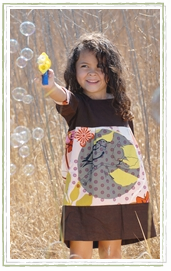 canary for my sweet baby girl- beautiful DRESS!! I love all of their dresses, especially the vintage lace dresses! Such gorgeous dresses, I simply cannot pick a favorite. The mad hatter and I'm late dress are calling to me though. There are so many cute dresses, I don't think I could pick out one favorite! I really like the Promenade blouse. Love The Red Queen dress! I love the bon voyage dress!! Any of the kids stuff for my grands!! the One For My Baby is one of my favorites! I love the Crème Noeud #5 dress! I love the Helena Maxi dress, been my favorite for over a year. I love the bianca dress! I love the Headliner Dress from the Block collection! I love all of their dresses! But now that I'm expecting I'm really loving the 'mama mia' fromt the maternity collection. I like the Boogie Woogie Dress! I love the lace dresses! Oh my goodness I love the azure coast wrap dress!!!!!! I like the silver bangle bracelets! There's this beautiful maxi skirt that I'm in love with, Hollywood Boulevard Skirt. Just gorgeous! I love the children's line, ESP "cranberry". i like the i'm late! i'm late! dress. I love the LA Cocktail Dress! I'd gladly take anything from this site! I love the I'm Late, I'm Late! dress. Everything looks so good, i just love the 'Sequoia' dress. Thanks for the giveaway. I love Carnival Jr. it is adorable! Love the after class dress. I love the Izzie Skirt. love the bathing suits.. they are so retro.. I like the "Land Ho" skirt. I really like the yellow Twin Palms dress, so cute! Love the Blue Eyes dress. I want the Pomodoro swim suit! The tres jolie dress is perfect! I love the race point skirt! I love the Tinsel Town skirt! I love their dresses, but probably the Bernini is my current favorite. Love this: http://www.shabbyapple.com/p-947-black-white-and-pink-all-over.aspx/ Thanks for the chance! My favorite it the HOLLYWOOD BOULEVARD SKIRT!! LOVE the beauty mark dress! I LOVE the "Heart of Me" dress! !